Personality: Sherlock has a profound aptitude for deductive reasoning, which he invariably describes as observing and noticing, as opposed to merely seeing or knowing. Upon meeting a person, he will often 'scan' them, taking in elements of their appearance and arriving at astonishingly accurate conclusions about their pasts and even their personality. John, while initially impressed by this skill, sometimes shows exasperation at this, berating him for showing off. However, he is not infallible; saying "there is always something" that he misses or misinterprets. He mistook John's sibling (Harriet) for a male in the first episode due to her masculine nickname; Irene Adler completely defeated his attempts to 'scan' her by appearing naked, and he has (seemingly) mistakenly identified people as homosexuals on two different occasions (John Watson and Jim Moriarty). As shown in The Hounds of Baskerville, Sherlock possesses something that he refers to as his Mind Palace. John explains this as a place deep in his subconscious where he stores a great amount of information. Once he accesses this mental database, he can make associations between a wide range subjects and data to find the common denominator between them. To use this skill, he needs to have silence and space to himself, demanding that others in the room leave him alone so as to not interfere. Sherlock has shown skill in hand-to-hand and armed combat, having the rules of the combat discipline Bartitsu hanging over his bed , sometimes using his deductive reasoning to identify weaknesses of his opponents before he strikes them. However John's military training seems to be superior to his (though this may have appeared so as John had taken him by surprise and he may have been holding back), and he was soundly beaten by the professional assassin known as the 'Golem'. However, he did bring down an assassin with one blow, successfully disarm an American operative with a gun, and fight off a group of terrorists with a sword. Although he seems to be a cold-hearted intellectual, Sherlock does have a kind, caring side, and although barely shown it wins over many people. For example, when John's girlfriend Sarah was kidnapped by Chinese smugglers, Sherlock focused on saving her rather than catching the smugglers themselves, and comforted her gently while untying her, even though he had not seemed to like her much previously. We also see him in "The Hound of Baskerville" comforting and successfully dissuading a man who was trying to commit suicide. He is also very protective of those he cares about; when he deduces that an American operative punched the defenceless Mrs. Hudson, Sherlock ties him up and throws him out of the window. He also says that if Mrs. Hudson was to leave, "England would fall" (A Scandal in Belgravia). This shows he doesn't take her for granted as is often thought, and does in fact care deeply for her. 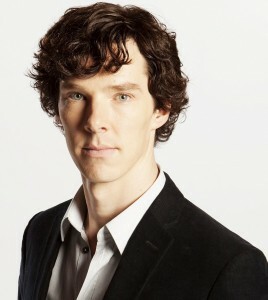 Skills and Talents: Sherlock is absolutely brilliant with deduction and has wonderful observation skills. He is able to figure out what is going on with an entire scene or person just by a simple chat and observation of their body and area. History: The Holmes family is what most would call Old Money, they have been around for quite a while and had amassed quite a wealth, but wealth does not obtain happiness, the current generations of Holmes had a most unpleasant life privately, though they have disguised it well publicly. The Holmes family also had some rather powerful and strong connections with the British Government and Royal Family. Sherlock as a child had discovered that his father was having a affair, something which he promptly told his mother, not exactly sure what he saw, after that his parents had arguments day and night, but Sherlock's father always managed to conceal it from other people, keeping up the illusion that the family was perfect. Latter on in his life, Sherlock was sent to a boarding school, during then, Sherlock was kidnapped by the IRA, due to it's belief that his kidnapping may be able to give them leverage on the Holmes, something that they made a mistake in, rather then giving in to the IRA's demands, Sherlock's father merely ignored them, and waited until they discovered where Sherlock was held, and used his political sway to get the government to send the S.A.S to save the boy, though when Sherlock was saved, he was near catatonic, the incident has since then scarred Sherlock, before the incident, Sherlock had manageable social skills, but after the trauma, he withdrew from the world and started to look at everything in a cold analytical way. Sherlock Holmes is the world's only "Consulting Detective"; a profession he has created for himself. He is shown to have a keen interest in unusual or bizarre crimes, without which he rapidly becomes bored, relying on nicotine to keep his brain 'active'. Holmes is a thinker and an observer. His ability to notice and draw deductions from seemingly trivial details is unrivalled, and is his main tool in solving the crimes he investigates. However, his unusual (in some ways anti-social) personality has led to many in the official police force distrusting and disliking him. Sherlock states that he is a "high-functioning sociopath", however, statements from Moriarty and Sherlock's own actions and character development suggest that this is not quite true. He remarks in "The Hounds of Baskerville" that he has "no friends - just one", John Watson. They live at 221B Baker Street, which they rent from Mrs. Hudson at a discounted rate because of Sherlock's help in getting her husband executed. Mrs. Hudson, Sherlock's landlady, takes care of many of his needs, like washing his clothes and making food, even though she seems to do so begrudgingly. Sherlock in turn is very protective of her - even throwing a man out of a window after deducing that he had struck Mrs. Hudson. His relationship with Detective Inspector Lestrade began as one of necessity, as Lestrade acknowledges that some crimes cannot be solved by traditional police methods, and Sherlock needs someone to bring him in on cases. Over the course of the second season, it appears that Lestrade has become someone that Sherlock would consider a friend. Mycroft Holmes, Sherlock's older brother, is the only other Holmes that has appeared on screen and the two have a rocky relationship at best. However, in A Study in Pink, Mycroft remarks to Sherlock that they have more in common than he (Sherlock) likes to think. There are many examples of this throughout the show, one being that both of them have exceptional brain powers and are able to deduce things quickly. However, there are also many examples of them being opposites of each other, seeing as Sherlock 'prefer[s] to text' (as he says in 'A Study in Pink) and does so very frequently, while Mycroft, as Sherlock says, only texts when he can't speak, e.g. when he is at the dentists (seen in 'The Great Game'). Despite the unstable relationship, Sherlock and Mycroft are seen to pay attention and care about each other quite a bit, knowing about each other's personal lives, and with Mycroft asking Sherlock for favors. In return, Mycroft has his own way of keeping tabs on Sherlock, having a high level of governmental security placed on him and John. The two are seen to spend time with each other, Sherlock having 'acquired' one of Mycroft's security cards, and when Mycroft finds out that he uses it, he is more exasperated than angry, despite Sherlock breaching a national security protocol in Mycroft's name. Mycroft later allows Sherlock access to the military base that Sherlock stole his identity to breach. (The Hounds of Baskerville). Sherlock runs his own website, The Science of Deduction. Roleplay Sample: Sherlock had been sitting in his chair, looking over his news paper clippings that he had posted up against the wall, all plastered with news of a serial killer, who for the first time had stumped him in quite a while. It wasn't something that he was used to, so it was easy for him to say he was finally intrigued. He found it fascinating that he had finally found the perfect crime, committed by the perfect killer whom was one step ahead of Sherlock. Was he missing something? Sherlock had told Watson that he had needed to see him as soon as possible. For the first time in quite a long time, he was able to admit he would need some help with this. Getting up from his seat, thoughts filled his minds with ideas as he rewound the crime scene to play back into his head once more. He started to pace around the room with his hands behind his back, twiddling his fingers together as he let out a sigh. He reached for the nicotine patches. Something stopped him though, something in particular about the patch was misplaced. How could that have been though? He left them on the other side of the room, and he knew Watson far too well to assume that he would have moved them. Mrs. Hudson wouldn't have done so either; she knew how he had gotten when his stuff was misplaced. "This isn't right..." he looked at the way the patches had been placed. He then had his eyes scan the room, noticing that a number of things had been displaced! Even the curtains hanging over the window - it was stuck just where the window closed. Someone broke in. Someone had broken into their home... but what had they taken? "Well now the fun begins." Ooh, Mr Holmes. Hello *sultry smile* I read your cases from time to time, when I'm not elbow deep in blood or attempting to save someone from the brink of death. "The Geek Interpreter" definitely has to be one of my top favourites, though that has less to do with your deductive skills and more with the fact I'm a bit of a fangirl. Squee <3 Accepted! You know the drill - don't forget to add yourself to the Face Claims List and to the Who's Who List. Have fun! Oh, hello. *adjusts scarf* I'm flattered that you enjoy my work so much, although I have to admit, the fact that you've taken the time to read through all of my cases does tell me a bit too much about you, especially with the favorite case you've chosen. Are you charmed by my skills or something more than that? Well, seeing as it's technically impossible for me to break hearts with my cheek, and that you actually do not love from your heart - one of them being the 'media insula' which is responsible for the feeling of attraction the next region of the brain is the 'striaum' which is also activated by feelings of love. It is located in the prefrontal cortex and is responsible for regulating the levels of dopamine that are offered as a reward for this feeling of love. I don't think I've ever broken anyone's brain either, but for the sake of slang, I cannot say I am sure. I do not meddle in affairs such as those. *laughs* I do know what's responsible for what in the brain, but thanks for the medical lecture. You could have simply said that you don't know. Do I look simple to you? *smiles lightly* No, I do not believe I am as simple as people hope I am to be. My mind races. So do my words.